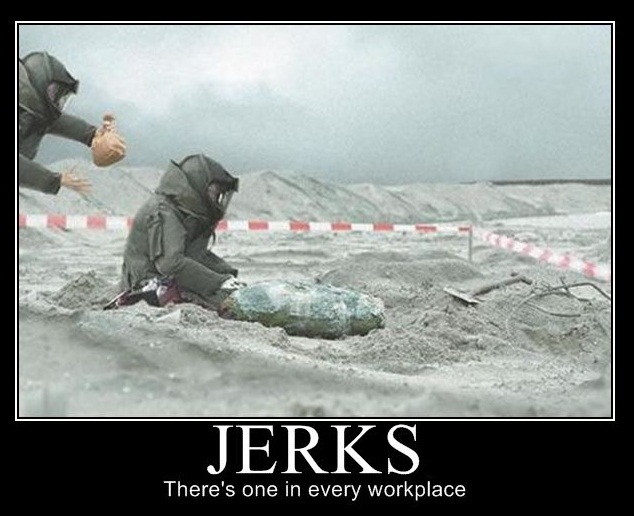 What “Jerks” do when you’re defusing a bomb. I just got off the phone with a jerk. A self-righteous, condescending jerk. I don’t talk with this person that often but when I do – it feels like finger nails down the chalkboard. The sound of their voice irritates me. Their intentionally chosen words reek of arrogance. Even over the phone, you can feel the thick condescension. This person doesn’t like me and they are not afraid to let me know it. I was even reminded recently that I am a pain in their… um, neck. Motivational speaker, Jim Rohn, says that there are only 6-7 jerks in the whole world. Unfortunately, he says, they move around a lot. If we are honest, we all have a “Jerk” (or three) in our life. Maybe it’s the guy at work. The neighbor down the street. The woman at church. The distant relative. For some, the “Jerk” might live closer to home in the form of a Spouse (or Ex), Child, Parent, In-law? In some cases, we can just avoid them. Other times, because of life circumstances (family affliliation, neighbors, work environments), we must interact with them, even daily, for years. How do we handle it? Sometimes the flesh takes over and we verbally “duke” it out. Over the years, I have come to realize that having a “Jerk” in your life can be a blessing. There are things that I have learned from these “Jerks” that I could not have learned from anyone else. 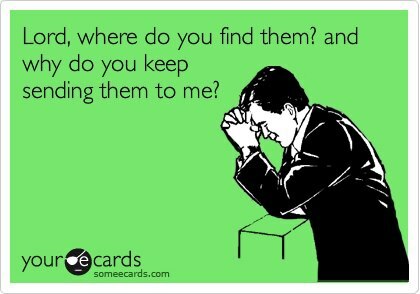 Whereas I’m tempted to ignore them, I actually realize (now) that I need them. Whereas I’m tempted to silence their voice, I have come to appreciate (now) their opposing views. Whereas I generally wish they would leave me alone, I (now) am glad they infiltrate my comfortable existence now and then. Mostly then. Here are a few things the “Jerks” have taught me. I am just like them. This is a hard truth to swallow but sometimes the reason I don’t like them is because I’m just like them. There are parts of me that I do not like and though I don’t think I’m like the “Jerk” in any way, when I stop to think about it – I’m more like them than I care to admit. Their presence in my life forces me to address things I prefer not to address. If their arrogance annoys me it is probably because the pride in my heart resonates with it. If their impatience bothers me it is probably because I hate the impatience that lives within me towards others. Their annoyance, some times, is merely a mirror to the things about me that I do not like. We have a hard time staring at a mirror when we see things we do not like. “Jerks” have a way of showing us our imperfections while we hate them for it. Understanding & Patience. I am painfully aware of how far I am from where I want to be. Sometimes I do what I don’t want to do. Sometimes I say what I don’t really want to say. Sometimes I act in a way that is not consistent with how I really want to act. I have some areas that I am trying to work on and really could use some patience from others as I work this stuff out. When I encounter a “Jerk”, this thought often crosses my mind – “Be patient.” Perhaps they are far from where they want to be too. Perhaps they are saying or doing something (even to me) that they really don’t want to be saying or doing. For whatever reason, I am bringing out a side in them that maybe they don’t like and what they could use is some understanding and patience from me. I recently had two friends of mine leave my life because I was a “Jerk.” One thought I had lied to them. I did not. The other thought I was judging them. I was not. But, looking at the situation from their perspective, I understand why they think those things. Given their thought process (and past history with others), it makes sense why they thought I was being a “Jerk” to them. In both cases, they have said hurtful and mean things to me. In both cases, I have apologized and tried to fix their incorrect perceptions. In both cases, they are still in the non-friend category. I’m still a “Jerk” and it’s easier for them to keep me there. Even so, in both cases I have tried to be understanding and patient – even leaving the door of friendship open for them to come through again. It’s not likely. I mean, who wants to be friends with a “Jerk?” Such is the problem with being someone’s “Jerk.” Even when you try not to be one, you can still become one to others. Here’s the point. Brady was (and still is 23 years later) one of my closest friends. We are both Bible reading Christians, taught to “turn the other cheek.” We both were on a Christian mission trip sharing the love of God with others. Because of our age at that time, we were both considered leaders on this team and looked up to by our younger teammates. And in spite of all of that, we both acted like children and behaved like “Jerks.” Over a stupid game. “Jerks” come in all shapes and sizes. They can be the town prostitute or the local Pastor. They can be called “Daughter” or “Dad.” They can teach at a seminary or sit at a bar. And that inner “Jerk” can come out at any moment when you least expect it (in traffic, long store lines, church, home or even during a harmless game of chess). Sadly, we are all one word or deed away from being someone’s “Jerk” today. When your “Jerk” calls today, how will you treat them? When your nemesis arrives, how will you react to their fiery verbal darts? It’s easy to treat people the way they deserve. It takes more strength of character to love them in spite of themselves. The following quote (below) has had a profound impact on my life and interactions with the “Jerks” I encounter. These words pound my conscience even when my hands want to wring their necks. May it challenge you as it has challenged me. Perhaps we can reduce the number of “Jerks” in this world, starting today, with the person in our own mirror?